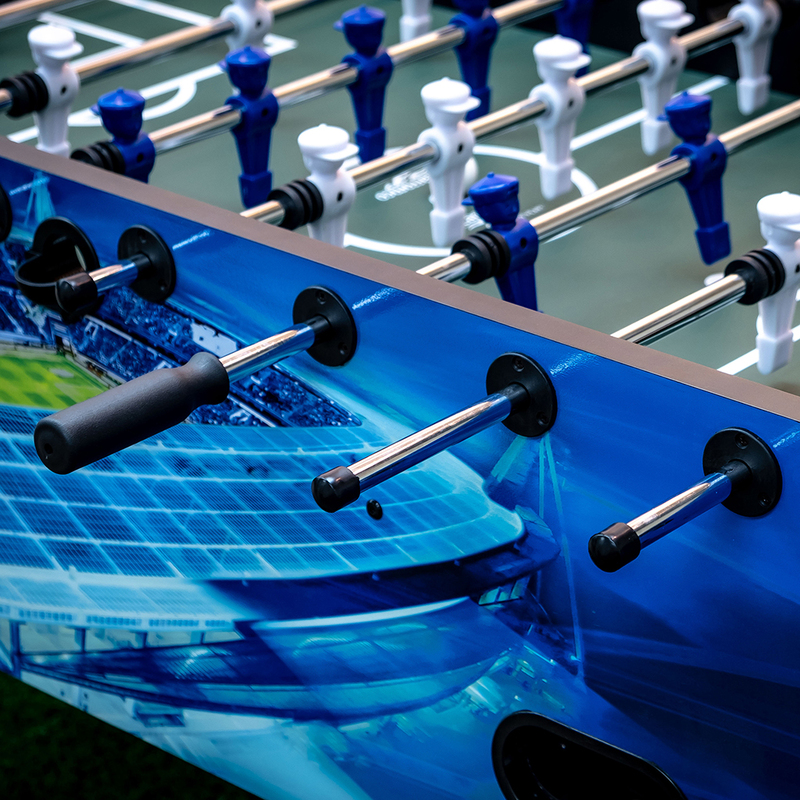 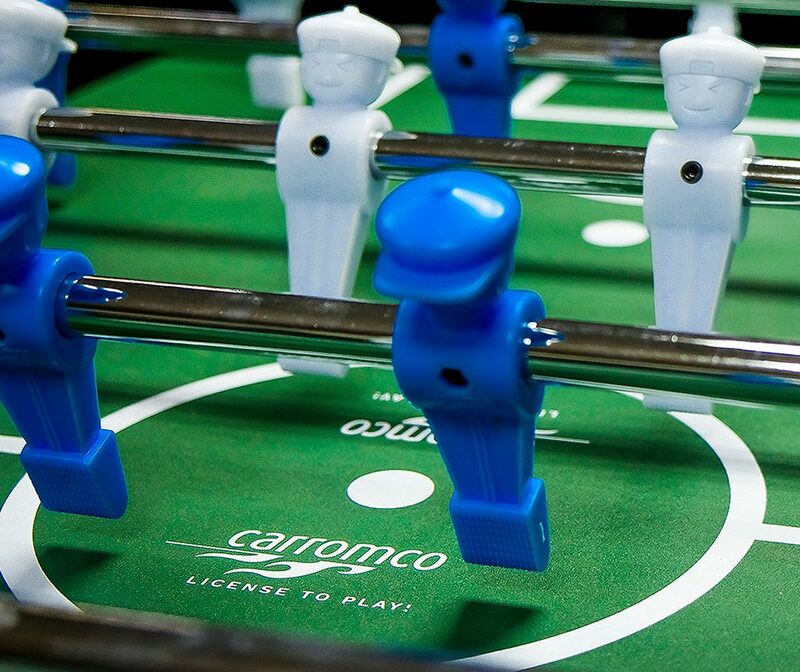 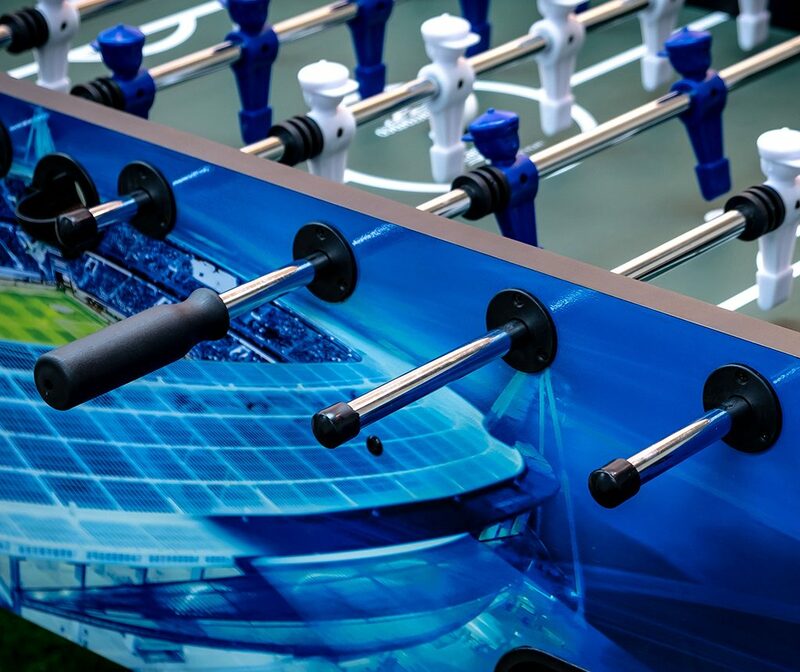 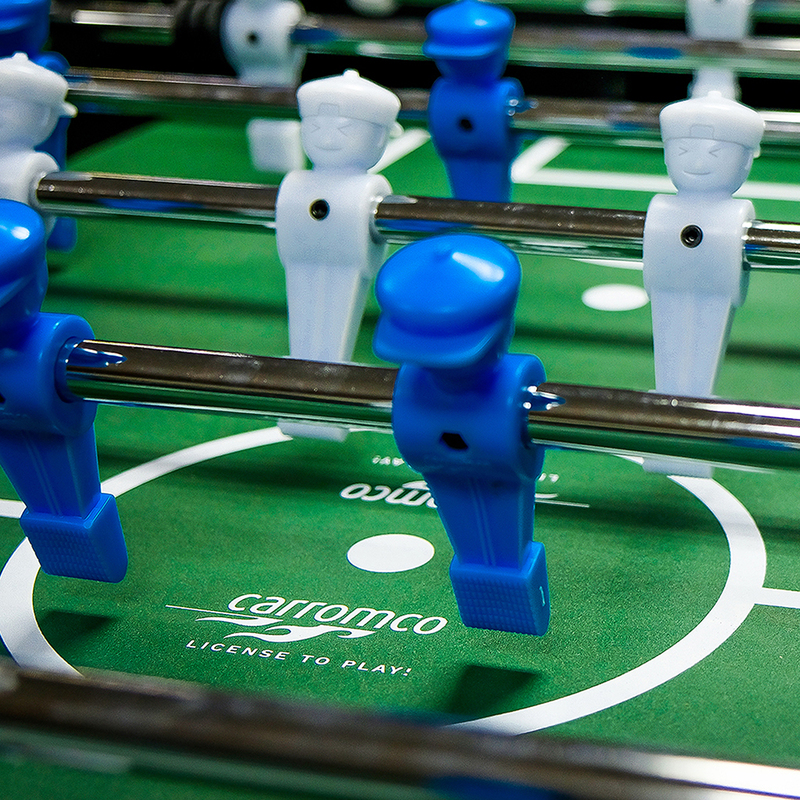 Football Table STADIUM-XT | Products | Carromco - License To Play! 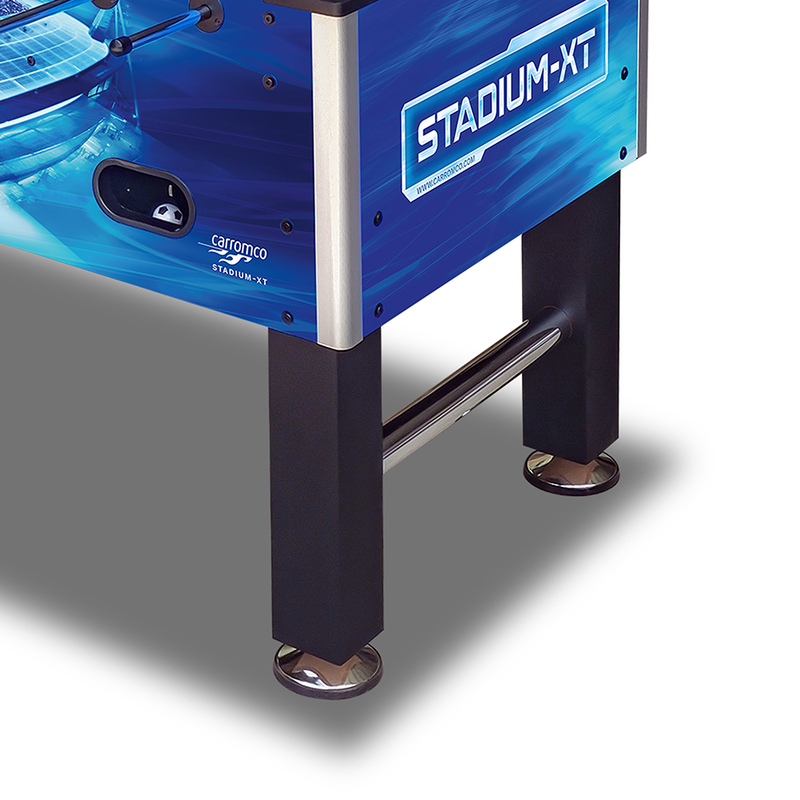 Carromco STADIUM-XT is a brand new Football Table that is outstanding, both in its design as well as in its features. 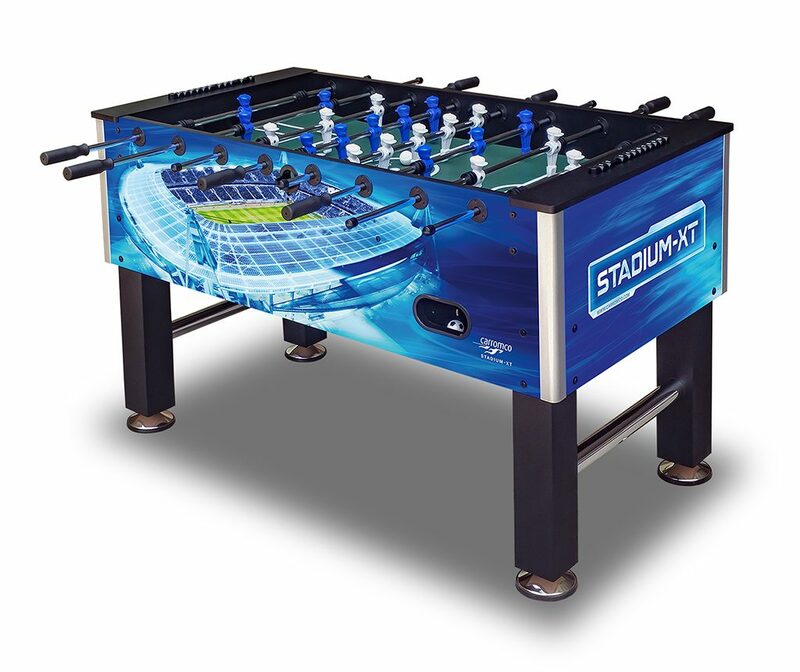 The enlarged body give this table a mighty appearance and add to the solid total weight of 58 KG. 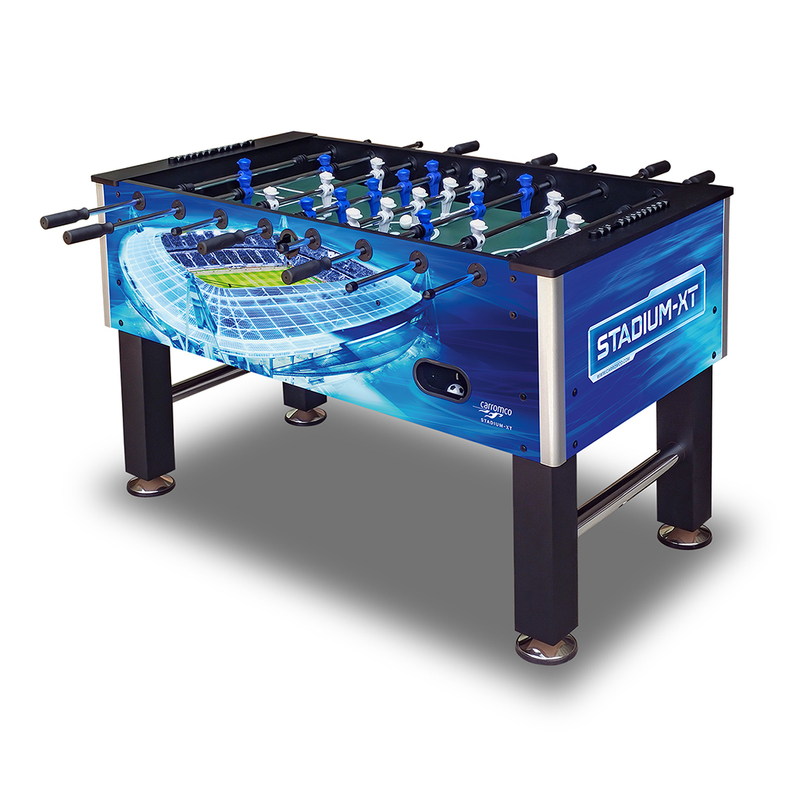 The radiant blue design features a bright stadium image, which makes this table an eye-catcher in every living room or kid’s room. 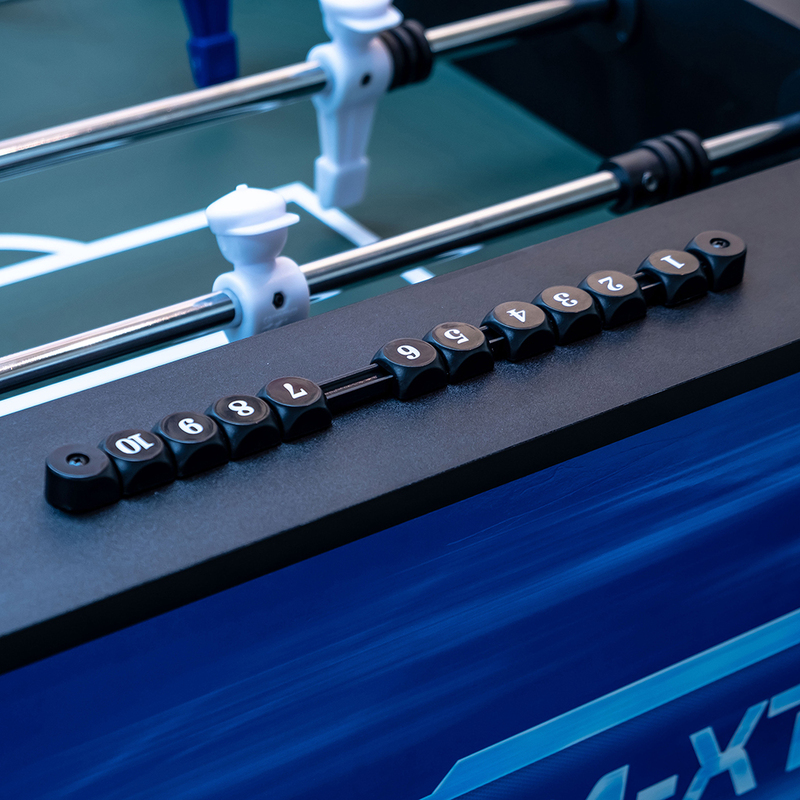 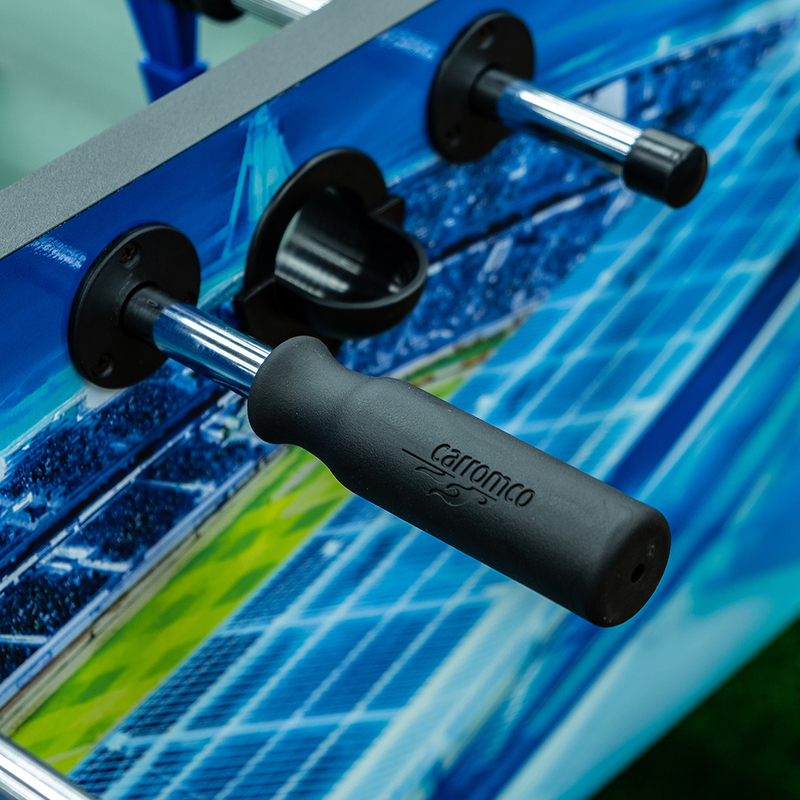 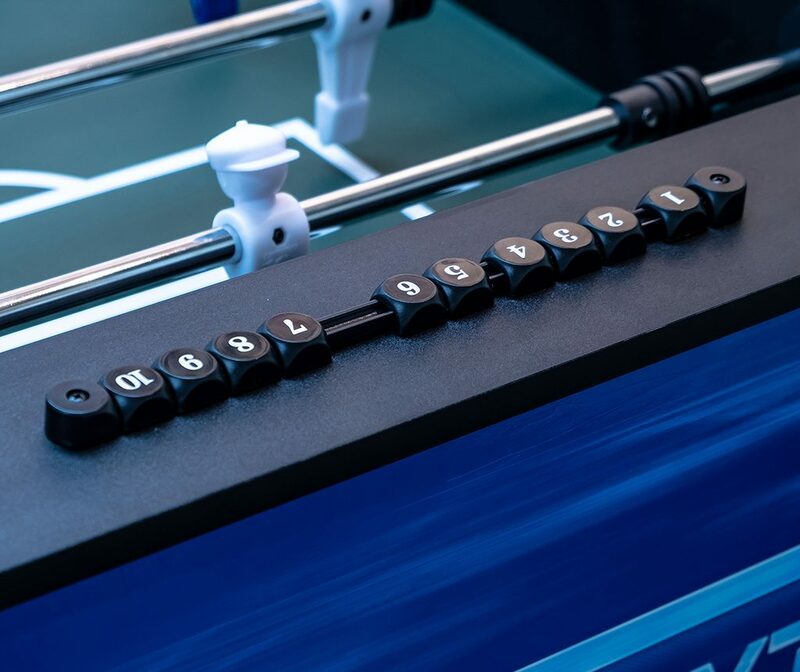 The STADIUM-XT table is equipped with the players, handgrips and bearings of Carromco’s professional series. 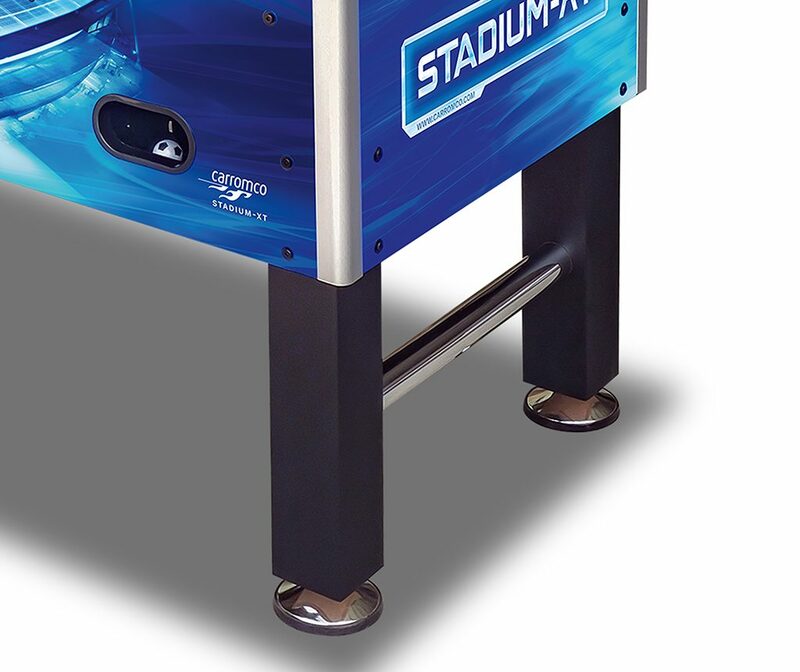 They enable a controlled and advanced game play. 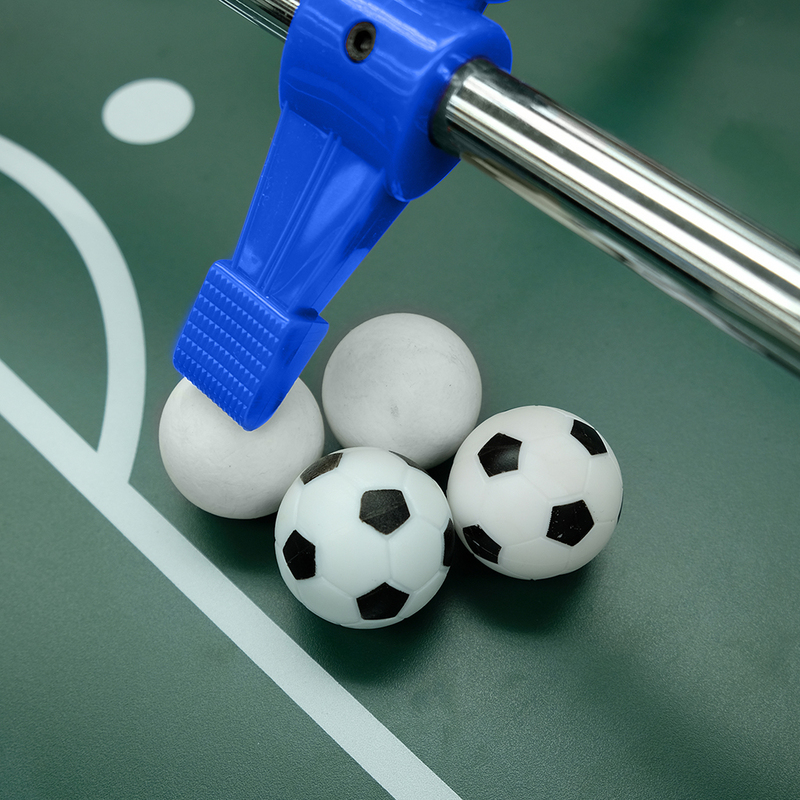 With the 2 included high-grip balls, passing and receiving the ball is easy, and all shooting techniques such as pull-shot, pin-shot or snake-shot (Jet) can be played nicely. 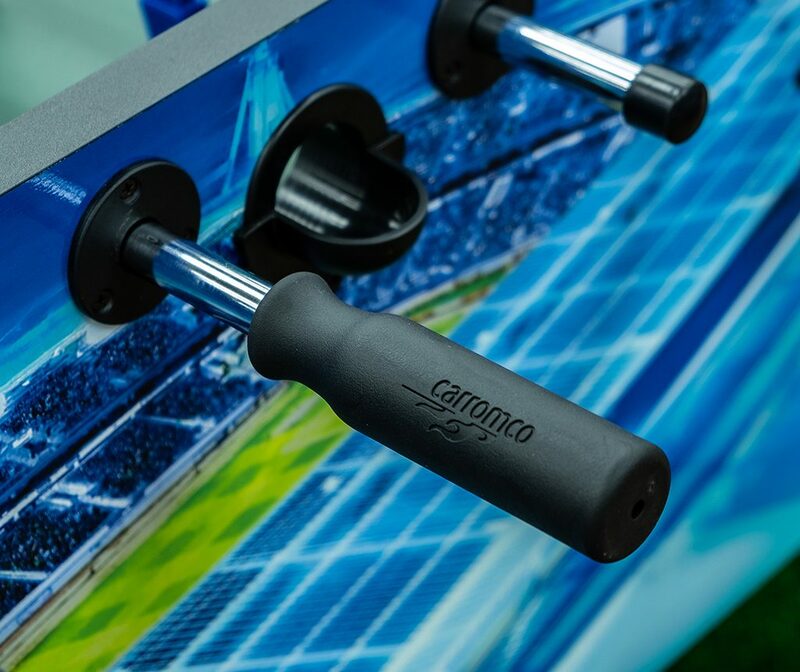 The swinging metal plate inside the goal box ensures a rewarding sound when a goal is scored. 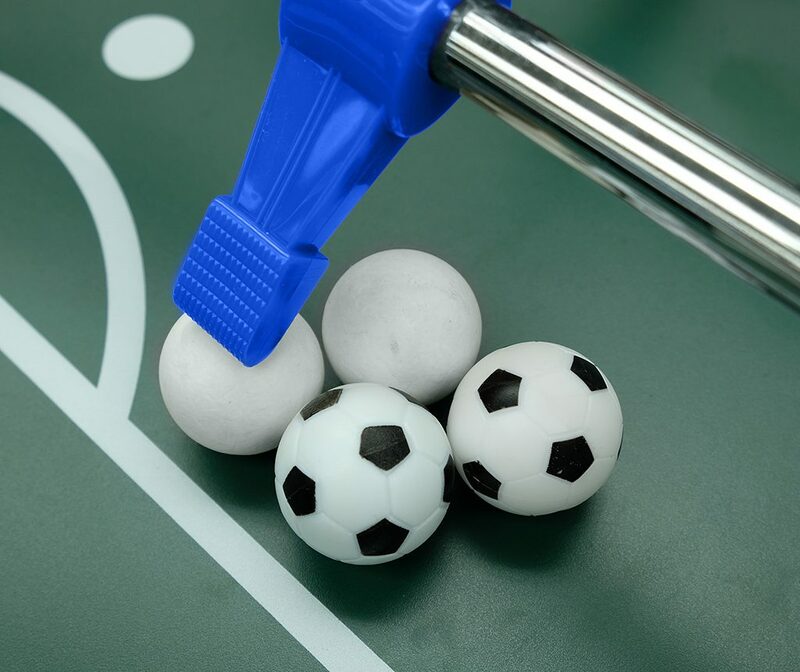 For matches that shall simply be fast and full of action, there are also 2 hard plastic black & white balls included.